Is your thumb too gross to put in front of the license plate when you take the photo? Can't find a dirty yellow/red shop rag? No problem, use a classic small straw dust broom. Because everybody has one of them sitting around. Those little dust brooms are about as common as a Caprice with 28k miles on the odometer. Find this 1995 Chevrolet Caprice Classic offered for $5000 in League City, TX via craigslist. Tip from Jeff. UPDATE - Car has following new parts Brand new fuel pump & tank $800. Its ready to transfer to new owners name and get tags it is running and driving good can be Driven home now. 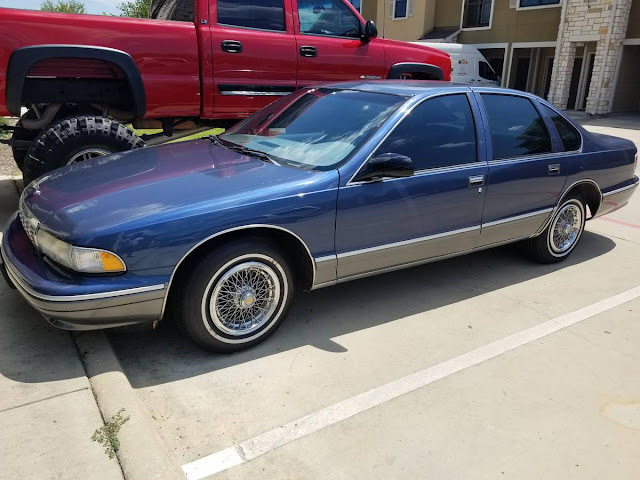 First with $5,000 gets it don't waste time with lowballs. 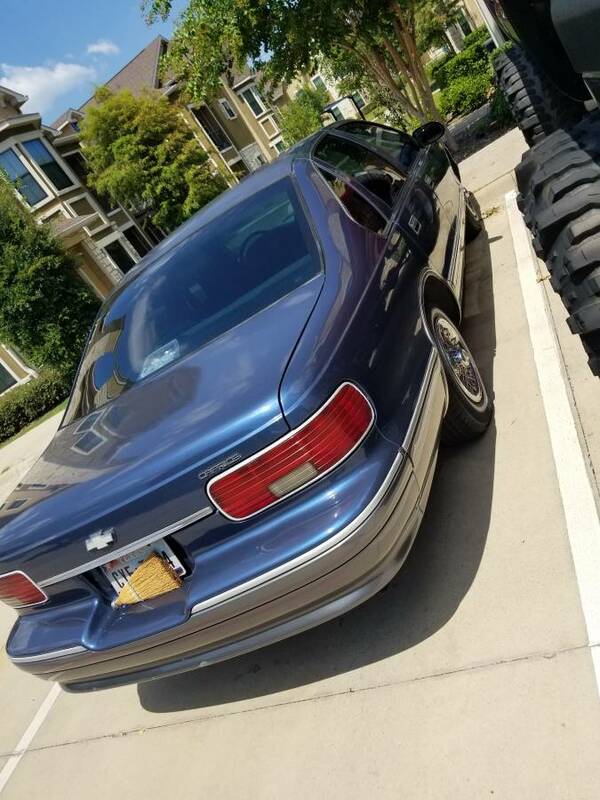 1995 chevrolet caprice classic with only 28k original miles(you can carfax) real deal here barn find. Has the V8 tune port injected engine steering and suspension is tight car has some flaws with age but overall very nice. Clear blue title in hand 1 OWNER CAR. Really nice. Must have been an elderly owner that stopped driving/living. This ad has all the signs (and pitfalls) of a car that's been sitting unused for a long time. What would you need to replace at a minimum on a car parked for years? Battery, tires, fuel tank, and pump. Check, check, check, and check. Looks well preserved, but be prepared for some things to fail when you put it back into service. Still, a nice car that shouldn't be too hard to get parts for or maintain, and a hard one to find in this shape. Fair price I guess. Someone's granddad definitely died, RIP and thanks for keeping your car so clean. I don't know the story of this car, but with all due respect, the corners are too clean for this to have been a senior's last car. I have helped to sell a couple of those, and I kinda know the pattern. Probably the cleanest example of a long-dead breed. If these turn your crank, this look like the one to grab. Give thanks to you for your details that you've distributed. It's really ideal for me.